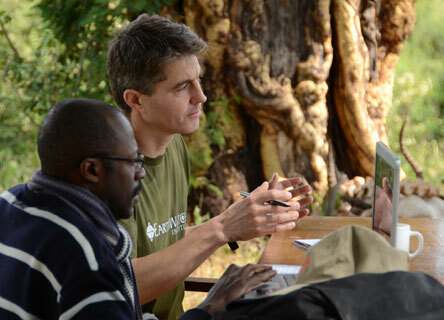 Earthwatch seeks to develop strategic partnerships that contribute to global conservation agendas and enable businesses to operate environmental sustainability. Our partnerships are designed to add value to your company as well as support important environmental initiatives. Many of our partnerships combine all three elements. Demonstrating leadership: Shell employee working with the director of Marojejy National Park, Madagascar.